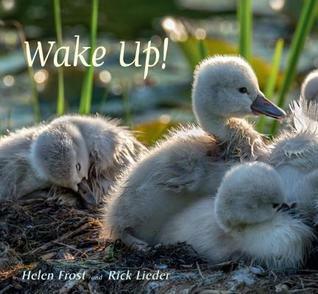 Wake up! Come out and explore all the new creatures being born just-hatched birds in the trees, tadpoles in the pond, a baby fawn in the woods. 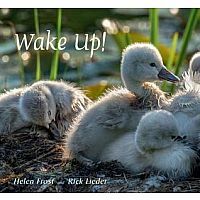 In their latest collaboration, poet Helen Frost and photographer Rick Lieder, the creators of Step Gently Out, Sweep Up the Sun, and Among a Thousand Fireflies, invite readers to wake up, open their eyes, and see the awe-inspiring array of new life just outside their door.